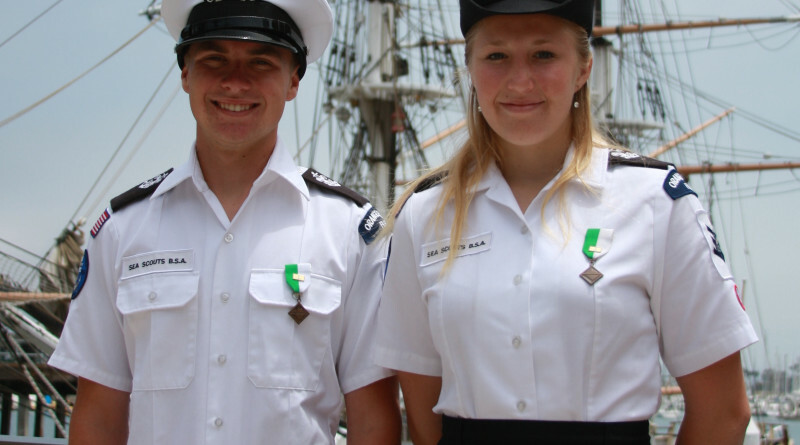 DANA POINT — Ryan Clark and Jessica Huber of Dana Point’s Mariners 936 Sea Scouts have been awarded sea scouting’s highest honor of Quartermaster rank. This award designates excellence, and is earned through a multitude of requirements that demonstrate an in depth knowledge of maritime skills, and by serving in leadership positions within the ship. Quartermaster qualification also requires demonstration of the ability to direct a team in planning and implementing a project that benefits the community. Clark and Huber worked their way through the sea scout ranks, acquiring skills in seamanship and serving in leadership roles within the ship, Clark as boatswain and Huber as boatswain’s mate. Both Clark and Huber will attend the California Maritime Academy this fall.